Polymer clay, also called polyclay or fimo, is a modeling material that you can cure or bake at home in your regular oven. Today I’m finishing my series on How to Bake Polymer Clay, with a focus on Tips and Tricks for getting the best results when curing your projects. Check out the other articles, too. Part 1 was on Choosing your Oven and Part 2 was about Temperature. Polymer clay must be baked long enough and hot enough to get complete fusion. Delicate structures need to be supported during baking, so use a bed of cornstarch or polyester fiber for this. Toilet paper also works well. To keep the back of your clay from being shiny, bake on a piece of copy paper or cardstock. The oven’s element can be fiercely hot, causing browning even when the temperature setting is correct. Always cover your work. Preheating is best as many ovens spike during the preheat cycle. Boiling does not give a complete cure of polymer clay. Ceramic tiles can help an oven maintain a stable temperature. 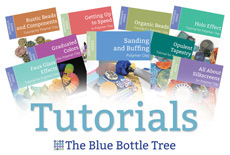 Make sure to read the articles on polymer clay ovens, choosing a temperature, and baking time. Just as each cook has his preferred way of making scrambled eggs, each polymer clay artist has a preferred way of baking their clay projects. I’ll describe my method and show how I bake my jewelry and bead projects. This isn’t the only right way to do this, but I have had really good results. I’ll talk about my process and then I’ll go into more detail about different philosophies, strategies, and tips. I use my home oven because it gives me more uniform and reliable results than when I’ve tried using a toaster oven in the past. I almost always bake my polymer clay projects covered, using two aluminum foil pans, one inverted as a lid, and I clip the whole thing shut with a binder clip. Inside the pan, I place a ceramic tile, then a piece of scrap copy paper, and on top of that, my project. I do use an oven thermometer to verify that my oven is baking at the correct temperature. I bake Fimo, Souffle, Premo and Cernit at 275° (135°C), Kato Polyclay at 300°F (150°C), and depending on the project Pardo at 275-325°F (135-163°C). I preheat my oven, making sure that it’s fully heated to the correct temperature. Then I place my foil pans in the oven, shut the door, and start the timer. I used to rely on the oven’s timer but I’d forget and go outside where I couldn’t hear it so I now use a portable timer that I just clip to my shirt or carry with me. (Your smartphone likely has a timer app that would work as well.) I sort of guess how long to bake my pieces…I don’t measure with a ruler or anything like that, but I do always bake longer than what I think I “should”. For most things this means about 45 minutes for a 1/4″ thick piece. When the timer goes off, I take the foil pans out of the oven, remove the clip, and check things out. Most of the time I’m happy. I usually am too impatient to let things cool off on their own, so I often will pick up the copy paper and set it on the countertop to cool (as the ceramic tile holds heat a long time). This is the most common way that I bake, for most of the work I do. But there are lots of times when I vary from this. I’ll discuss this and more below. Read on! How Long Should I Bake Polymer Clay? Most polymer clay artists will agree that these are the absolute minimum times that you should use, and the recommended 10 minutes for Kato is just plain erroneous. Polymer clay becomes much stronger when it is baked longer than these minimum times. You cannot burn or damage polymer clay by baking it for a very long time, even hours. Unlike food, which will burn if left too long in the oven (because the moisture is driven out), polymer clay will not burn if baked at the correct temperature. The limiting factor, though, is that light colors of polymer clay will darken and brown with longer times in the oven. It does not damage them, but it will easily ruin your effect, especially if you’re working with light or translucent polymer clay. I always recommend baking at least 45 minutes per 1/4″ of thickness and even longer for thicker pieces. For optimal results, do what works for you, not what a package says. Not sure you’ve baked your piece long enough? Read about how you can tell if your polymer clay is baked enough in Part 4 – How Long to Bake Polymer Clay. When you put your polymer clay in the oven, try to center it as far from any heating element as possible. You want good air circulation around your items, so that the heat can distribute evenly inside the oven. Put it on the center rack, equidistant from the elements, and keep it away from the oven’s walls. This is obviously more difficult in a toaster oven as the baking chamber is so small. But if parts of your project are too close to the heating element, it will burn. As anyone who has ever held their hand above a stove’s heating element can attest, it gets awfully toasty! Even if the overall temperature in the oven stays where you set it, every time that heating element cycles on, it glows red hot and can singe your polymer clay pieces if they’re too close. Some ovens don’t regulate this very well and the element will scorch things, quite badly at times. The best way to protect your beautiful artwork from baking disasters is to protect it and shield it from the heat by keeping it covered up. I use an aluminum foil cake pan, most often the 8″ x 8″ size because my 6″ ceramic tiles fit perfectly in the bottom. (Those of you outside the US will need to find the sizes that work for the materials you have where you are. In the UK, I know you can get 150mm tiles and 240mm square pans.) For larger projects I use larger pans and tiles. You could use a sheet of aluminum foil. Or a covered roasting pan. Or an upside down pan. Covering your work protects it from the heating element and it also helps keep the heat contained at a steady level inside the pan, leading to a more complete and reliable cure. One other nice bonus that comes from using the foil pans is that I have a cover for my unbaked pieces in the studio. Sometimes I’ll have the pan sitting there for days until I’ve made enough pieces to bake. The cover keeps the dust and curious kitties from ruining my clay. If you use a toaster oven and have a tiny space, you could use the tiny aluminum foil pie pans the same way that I use the larger pans. Any pan with a lid that is oven safe could be used to protect your clay while baking. Keep your eye open for a small unpainted metal box, or even a tin. Run it through the oven by itself first to make sure it will handle the heat, though, just to make sure. Convection ovens are much better at keeping a consistent temperature, but conventional and toaster ovens use a hot element, cycling on and off, to keep the space heated. The element can burn your clay, as I’ve already stated, but there’s also the problem that curing of your items can be inhibited if the temperature doesn’t stay high the whole time. If your oven is one of those that gets fairly cold before the element kicks back on, it might be helpful to place ceramic tiles on the rack in the middle of the oven. This will act as what’s called a “heat sink” to help hold and evenly distribute the heat. You could also use an old pizza stone if your oven is large enough. This is why I use a ceramic tile in the bottom of my foil pan baking system. It helps keep the temperature constant. I also use my ceramic tiles as work surfaces, if this is a new idea for you, you might want to read about how ceramic tiles are one of my most indispensable tools. When you place raw clay on a glazed ceramic tile and then bake it, the places where the clay touched the tile will be shiny. To prevent this, merely place your item on a piece of scrap copy paper, an index card, or a piece of card stock. Don’t worry, the paper will not burn. But make sure that it doesn’t have any printing or writing on it as the inks could transfer to your clay. If you’re baking round beads, setting them on a flat surface is a recipe in frustration! To keep them from rolling all over the place, merely accordion fold a piece of blank copy paper and set your beads in the folds. They’ll stay in one place and they won’t have shiny spots. Another method is to use a piece of polyester quilt batting. Again, it won’t burn in the oven, and it keeps your pieces from getting a shiny spot. Batting is a great tool, too, if you work with sculpture and need to support parts of your piece during baking. Just use lots of polyester fiberfill to prop it all up. One thing to note about using paper, though. Don’t leave your art piece on the paper for very long before you bake it. You might notice an oily spot on the paper…that’s the liquid plasticizer that’s leached out of your clay. A small amount won’t hurt your clay (make sure to discard the paper afterward, though). But if excessive amounts of plasticizer are leached out, it might weaken your piece. Translucent and light colors of polymer clay are very susceptible to turning brown during baking. This is not an indication of burning and is not dangerous, but it is frustrating. It’s just one of those thing you have to work around and there are some things you can do to prevent, or at least minimize the problem. Before we get to those, though, make sure that you are baking at the right temperature and are covering your pieces during baking to prevent the heating element from damaging your work. Here are a few other things you can try. Another strategy to protect your polymer clay from the heat of the oven is to bury them in baking soda (bicarbonate of soda) during baking. Other people use cornstarch or salt. To do this, just pour an oven-safe bowl of your favorite powder, dig a hole, and put your beads inside. Put the whole thing in the oven to bake. After baking, you will need to rinse the powder off the beads. Some people report that cornstarch is harder to rinse off and leaves a white residue, so you might prefer to use baking soda if that’s the case. Regardless, don’t leave the beads sitting around unbaked in the powder for very long, though, for the same reason as with the paper above. The plasticizer can possibly leach out of the beads, leaving them brittle. Higher temperatures and longer bake times lead to more browning. So reducing the temperature or the duration of baking can solve the problem of browning. But, as I’ve discussed previously, that can also lead to weakened and underbaked projects. I suggest carefully experimenting with minimizing the baking time and temperature while at the same time monitoring the project’s strength. You need to bake long and hot enough to be fully cured and strong. Try the other strategies first, and if you still have unacceptable browning, then try experimenting with the time and temperature of baking. Plaques are whitish areas that appear in the middle of a piece of polymer clay after curing. They look like they’re air bubbles but seem to happen when there was no obvious air trapped in the raw clay before baking. Fimo and Pardo are notorious for this problem and it’s more obvious in translucent and light colored clay. It’s been suggested that they are caused by water vapor or air collecting in the clay during curing and that they are caused by or exacerbated by sharp contrasts in temperature during baking or cooling. Sometimes cracks appear in a clay piece immediately after baking, apparently caused by expansion of the clay mass during baking. Sudden temperature change also seems to be the culprit for this problem. A commonly suggested solution for both plaques and cracks are to cure the clay without creating thermal shock. To do this, place your covered clay into a cool oven, turn it on to the correct temperature, and then begin timing once the proper temperature has been reached. After baking, turn off the oven and leave your items inside the oven until they have cooled thoroughly. Can you bake polymer clay more than once? A common question for those new to polymer clay is “Can you bake polymer clay more than once?” The answer is YES! There is no reason you can’t bake a piece of clay as many times as you need to. In fact, for complex pieces it’s common to bake parts of the piece separately and then assemble and attach them after baking. It’s also perfectly fine to attach raw clay to baked clay and bake that. Sometimes it’s the only way you can get certain effects. If you live at a high altitude, then you already know that the laws of physics can do some strange things to your baking times and temperatures. You might very well need to make adjustments to your polymer clay baking times as well. I don’t have personal experience with this, but I’ve read that mountain dwellers have success by raising the baking temperature about 25°F (or maybe 10°C) and baking for 15 minutes longer. Your experience might be different depending on your altitude. But if you’re doing everything right and still getting underbaked clay, this is something to be aware of. Do not use a microwave to cure polymer clay. It’s the wrong kind of heating process. It’s not going to cause sparks or anything like that, but it will cause smoke when it burns! Read more about if you can bake polymer clay in the microwave in my article about it here. For some reason there is a controversy about using boiling water to cure polymer clay. Some people say that it works, but that just isn’t realistic. Water boils at 212°F (100°C), which is a temperature too low to cure polymer clay. You’d think that adding more heat would raise the temperature of the water, but in reality it doesn’t. Blame physics. Now some people will say that boiling for a long time does give a complete cure for polymer clay. I am very, very skeptical of this. However, I can conceive of why you might want to boil a polymer clay sculpture, for instance, to allow the water to support the item long enough to partially cure. This might be helpful with complex thin projections or pieces that would ordinarily be too floppy to bake without the support of the water. You would then fully bake the item at a proper temperature in the oven. But that’s not something most of us are going to be dealing with. A heat gun is a valuable tool for working with polymer clay. You can spot cure polymer clay with a heat gun but you have to be very, very careful to keep the gun moving at all times and not get too close to the clay. Heat guns produce enough heat to scorch and burn polymer clay causing it to blister and turn black (and produce irritating fumes). Yes, I hang my head in shame here. I have done this. But as long as you’re super careful to avoid burning, you can sort of “soft cure” clay to get it to solidify. You might use this technique if using liquid clay to assemble a sculpture, for instance. But it’s not a complete cure and you would still need to fully cure your project in the oven. Cynthia Tinapple does use a heat gun to cure her polymer in place in the wooden bowls she creates with her husband Blair Davis. But she also uses a digital thermometer to make sure the clay is actually reaching curing temperature. For most of us, this isn’t a generally reliable way of curing polymer clay. Well that’s all I can think of. You should have a pretty good idea of how to bake polymer clay. Now go make something beautiful! This article was Part 3 of a series on Baking Polymer Clay. Part 1 was about Choosing the Right Oven and Part 2 was about Using the Right Temperature. Next is Part 4, How Long to Bake Polymer Clay. I hope you found this series to be useful. If so, why not sign up to get an email notification the next time I post. I’ve got lots more great articles planned. Thanks! Thanks for sharing some very informative tips! Wonderful information Ginger, thanks so much for sharing your experience with us newbies!! Great tips Ginger! I do use aluminum foil pans and cover with another aluminim pan but do not clip together – duh!!! Will do so from now on! Also have not used the ramping up tip but will try on some pieces. I use cornstarch to protect certain pieces and also use it as a mild abrasive which works well. I love your articles! Always learn something new and repeat is always good to reinforce my memory! Thanks so much! Isn’t it funny how we’ll miss one little detail that is perfectly obvious once we see it? I do that all the time. Sometimes I think that’s what teenagers are for…to point out where we’ve missed something. LOL. At least my kids do that! This is the most valuable post on baking temperatures and times that I’ve ever read! I didn’t realize it was okay to extend baking times, and also to increase your baking temperature if you’re at a higher altitude, which I am. You rock!! Thank you so much for writing this! I hadn’t thought of the issues with high altitude, either. But there is a fantastic polymer clay guild in Denver and some of the ladies there were discussing this issue online. Isn’t it great that we can all share ideas like this? Saves so much trouble. Very well done Ginger!! As always…..well written, clearly detailed, with wonderful pics!! I looked forward to reading each new installment 🙂 Are you sure you weren’t a “mad scientist” in another life – LOL!! Well, I was a scientist in another life, but my kids and husband would probably attest that it’s now that I’m completely “mad” and off my rocker! As always awesome reading!! I too am a premo girl and I always bake my items 1/2″ or less thickness for 1 hour. I have been using my Kitchen-Aid toaster oven for 3 years on a daily basis. Never burned anything! But I have to say Ginger, you have given me ease of mind about using my home oven. See, that’s the thing. Toaster ovens work for some people and if you’ve got a good one then use the heck out of it! But at the same time, some people think they can’t use their home oven and then spend money on a toaster oven that then burns every other batch. Sounds like you’ve got one of the good ones. Enjoy it! I think the tenting with foil and the longer bake times are really important to your success, too. Thanks for sharing! Thank you so very much for these tips! I am going to try every one of them. Especially using the tins to bake and the baking soda to avoid color changes, I’ve been very frustrated with his lately and that is exactly what I searched in google and what brought me to your blog. I also recently went out and bought a convection/toaster oven and spent 150€ on it only to be frustrated becuase it doesn’t hold the temperature properly! I have an oven thermometer and check it every ten minutes to find that it fluctuates and sometimes even drops below 100° c! It’s very time and electricity consuming! I’m of course afraid to go too high for fear of burning. I do bake on the ceramic tile and that helps but I do sometimes find that I have to re-bake becuase of breakage. Perhaps with your tulsi can go a little higher on temp if they are well protected. Thanks again I look forward to following your blog! Thank you..! 🙂 these tips r really helpful. Well i have that microwave oven which has four options including convection. What things should i keep in mind? Hi Laxmi, if the oven is cooking with heat and not microwaves, then you can use it. Just make sure that you use a separate thermometer to check the oven is reaching the correct temperature. And keep the clay covered with a pan or foil. Microwaves don’t cure polymer clay, so you’ll have to make sure that the microwave part is turned off and you’re just using heat only. I’m not familiar with that type of oven, though, so make sure you experiment before putting too much work into a nice project. Hi Ingy, There is a huge amount of misconception out there about the safety of polymer clay and well-meaning people keep perpetuating it. I’m sorry that their misplaced caution has caused you to worry. There is no need to worry. I’ve discussed this issue in part 1 of my Baking with Polymer Clay series, but I’ll summarize here. Polymer clay has been thoroughly tested and is certified to be safe when used according to the directions. It is not toxic. You can handle unbaked clay with your hands and you will not be harmed. You can bake polymer clay in your home oven without harm. There are no poisonous gases being released by baking polymer clay. However, just as you would with any craft compound, you should wash your hands thoroughly after working with polymer clay. You shouldn’t use your tools (such as knives) with food after using polymer clay. And because polymer clay isn’t certified as being “food safe”, (because you can’t sterilize it), you shouldn’t make plates and bowls or other food-contacting utensils with polymer (though you can cover the handles). Also, like anything, if you burn it you can release irritating fumes and gases. In the case of polymer clay it’s not so much poisonous as it is acrid and irritating. If you do burn your polymer clay, turn off the oven, open all the windows, and leave the room until the smoke clears. But you’ll never have that problem if you follow the directions I give in this Baking with Polymer Clay series. Verify your oven’s temperature with a thermometer, cover your items with foil while baking, and enjoy polymer clay! I’m one of those high altitude bakers. It took me a while to figure out the problem after we moved here and then someone online suggested the altitude and the light bulb came on. Upping the temp and bake time fixed my problems instantly. And we’re right at the 5000ft line. Hi Lisa, The very thin pieces that you see of mine are all made from Pardo or Fimo Effect. Thin pieces of Premo are quite bendy and really shouldn’t be brittle. It sounds like to me that your oven might not be getting to a hot enough temperature. Make sure you use a separate oven thermometer to verify that you are indeed getting up to the right temp. And I would bake even hotter, to be honest. Polymer clay won’t burn until you get well over 325F (160C), assuming that you are covering your pieces to protect them from the element’s fluctuations. Hi . I have been making cuff bracelets but am worried about them breaking. They need to be strong but flexible. I have used 2 layers together on the number one setting for the thickness and baked them for 30 minutes at 130c. on a coca cola tin leaving a 1.1/2 inch gap. I have just had one returned snapped in half. The woman said she squeezed the gap together to fit it in a box and it snapped in half. Could you tell me if I need to bake it for longer or make it thinner?. I am using Fimo effects clay. Hi Jean, sorry for the delay in my response. I’m on vacation in the UK at the moment. I would think the problem is baking time. 30 min is not really enough for thicker pieces. I would bake for at least an hour, and do make sure that you cover your item when you bake. I baked a 1/8″ thick piece (a chocolate bar) for 30 minutes at 248 F, as the Cernit package said and it got 3 darker spots on top 🙁 why did that happen? Hi Libelle, sorry you ran into trouble baking your Cernit. Anytime you bake polymer clay, the most important things are to verify your oven’s temperature with a separate thermometer and to cover your items while baking to protect them from the oven’s heating elements. Baking for that actual temperature and for that time shouldn’t cause the clay to darken. It really does sound like your oven is baking hotter than it should. Good luck! Could the paper catch on fire? At first thought, you would think so. But first off, polymer clay doesn’t bake at a very high temperature. And secondly, we use baking parchment for making cookies a lot hotter than this! No, the paper doesn’t catch on fire. It doesn’t even turn brown! Hi, Ginger! Thank you for your sharing! Really useful and informative! However, I would just like to ask if the clay would leave odour in the oven after baking and if I actually make use of the method you mention above about protecting my work, will it help to reduce the odour if there is? Polymer clay is a plastic and does give off sort of a chemical smell. Different brands have different smells. And just like when you bake cookies, the smell does stick around for a little bit. It’s not terribly strong, though. But yes, keeping the piece inside of a pan really does help reduce the odor. The few times I don’t bake my beads inside of a pan, my husband will walk into the kitchen and ask if I left something on a burner. If you take the pan outside before opening it, you’ll reduce the smell even more. But still…it’s not a super strong smell. Kato polyclay has the strongest smell, and it’s sort of like “new Barbie doll”. Hi Ginger, I would like to bake my clay into a shallow bowl shape – can I bake it in an ovenproof bowl or will this prevent it from baking properly? Any tips for a beginner greatly appreciated!! That would work nicely. We often use ovenproof bowls, jars, etc, to create the curves and shapes we need for our polymer clay. Just keep in mind that where the clay touches the bowl, that part will be shiny after baking. So plan for that in your design. And yes, you might have to bake a little longer to account for the bowl itself taking time to heat up. And since polymer clay gets stonger with longer bakes, I’d recommend baking a long time anyway. Make sure you cover it all, though, you don’t want any scorching! Thank you so much Ginger, I’m giving it a try today! Wow, I’ve never heard anything like that before. I’ve baked a lot of Premo over the years and while I have had them turn from sometimes, the texture doesn’t ever become rubbery. And they puffed up, too? Gee, I’ve never seen any brand of polymer clay do that. Sometimes they’ll expand the slightest amount during baking, but they come back to normal size when they cool down. I hate to say this, but is there a possibility that you are working with modeling compound of some sort and not polymer clay? (Stranger things have happened.) Sometimes people end up with plasticine modeling clay in with their polymer stash and when that stuff bakes it…well…isn’t pretty. This just happened to me with a new toaster oven. It ruined a piece I worked on for a very long time. I just assumed that since the oven was new (and I used it once before with no problem) that it would be fine. I guess that’s what I get for assuming. 🙁 I’m sorry. So very disappointing! I use a toaster oven for running workshops and when I first tested it the same thing happened. What I learnt was that the clay was way too close to the elements, even when baked in a foil tent. So what I did was insulated the elements by placing several layers of ceramic tiles under the top element, and above the bottom element. What this did was absorb the direct heat of the elements and allowed the oven to get hot enough, but prevented any direct heat hitting the clay – essentially it distributed the heat more evenly. Now I never have a problem with clay burning. I used at least 2 layers of tiles, but you could use more. Forgot to ask if Premo has a shelf live? Not a shelf life so much as the plasticizer can evaporate out and the clay can get a bit more dry and hard over time. Most modern clay should be fine if used within a year or two (if stored properly). The old stuff, from years ago, seemed to hold up indefinitely. I still have clay from well over 10 years ago that’s just fine. But the modern stuff does dry out. Thank you Ginger this was very helpful and informative, for a beginner like me, I used Premo to make a bangle using a coke can and a thermometer it came out rubbery then it cracked, I placed it in cold water after baking could this have been the problem? Again thank you for your tutorials they are the best..
Hi Pat, in general, anytime a clay cracks later, after baking, it’s due to undercuring. Always make sure you bake the full length of time (remembering that it takes a while to get up to temperature, especially if you’re covering your work). For a bangle on a coke can, I would bake it for an hour or maybe an hour and fifteen. As long as the temp is correct and you have it covered, you can safely bake longer times without trouble. And the longer you bake, the stronger your piece will be. Premo is a very flexible clay, though, and you should still be able to flex it slightly, depending on the thickness. I just baked some beads (round and flat) in my oven with Sculpey. The beads began red and turned brown. They are too soft,like a piece of rubber.! can you give me a help please ? Thank you so much ! Hi Mary Ann, sorry you’re having trouble. I’m not sure what’s going on, that doesn’t sound like any polymer clay that I know. What brand is it? It is pretty common for polymer clay to burn, especially if you’ve never baked clay in the oven before. You have to use an oven thermometer to make extra sure that your oven truly is staying at the right temperature (most are wildly inaccurate). And do make sure you cover your work to protect it from browning. But polymer clay is seldom soft like rubber. If anything, polymer clay is usually quite brittle if it’s underbaked and quite hard of it’s overbaked. Properly baked clay can be quite flexible, depending on the brand, but it is never soft like rubber. It sounds very odd to me. Is is possible that you’re using a modeling clay such as plastalina or something similar? Sounds to me like the color darkened from the heat, like Ginger suggested. Certain colors and brands are notorious for this. Did you try any of the tips above to prevent browning? I always bury or tent everything I bake. It makes a world of difference. Also, Sculpey tends to be very soft when you first take it from the oven but then much more brittle than other brands – how was it after you let it cool? If it was still rubbery, then it wasn’t baked long enough. Remember your altitude, too – the higher your elevation, the longer you have to let it bake. Just stumbled upon your blog and was surprised to hear that I should be covering my pieces when baking and the long baking times that you recommend. I am very much a newbie at this and now I know why several pieces have come out brown, that they are still flexible when I take them out of the oven. Thanks for the info and look forward to learning more. I’m glad that the information is helpful, Lynn. Polymer will still be flexible when it comes out of the oven, though. Underbaked clay will actually be brittle and crumble easily. Hi Ginger: I took a workshop with Donna Kato about 5 years ago & she bakes her stuff at least an hour at 300 degrees F.
Joan Taylor used to do earthen clay (they use clay cones during firing) & makes little cone/tepee shapes out of her scrap clay from her projects & bakes them with her finished pieces. When they come out of the oven she places them point down on a table surface & attempts to break them. If they break or crack her batch of clay needs to bake longer. (I’ve tried that & it does give you piece of mind that your clay is cured & strong). When I buy an oven new to me, usually from a thrift store or Craigslist, I plug it in & set the temp by the oven dial. I place my separate oven thermometer on the tile on my metal tray. I set my timer for 30 minutes. If its too low I bump it up & wait another 30 min. Too high I turn it down & wait another 30, etc. Once the oven consistently stays at 300 degrees I unplug it! I never move the oven temperature dial again! I always plug my oven in, set my timer for 30 minutes & recheck the temperature before I bake my first tray. I also tent all my clay with aluminum foil. I live in Colorado and get consistently great results. This works with small & large toaster ovens. Hopes this helps everyone! I LOVE the idea of using little cones. Of course different thicknesses of clay will be different. But still, the idea is cool. Thanks! And the idea of leaving your oven at a specific temp is great if you stick with one brand. (That being said, you can bake all but Kato at 275, so that might be a better temp for some people.) Thanks for the ideas! I’m new to PM and to start made your needle tools, only made them long and round. I needed to prop the first one up, so I remembered your article and used the Polyester fiberfill (not the cheapest but not the most expensive either) underneath the tool to help keep it round and to prop the needle. I also had two large indent close to the end that needed propping. During baking the fumes became severe, which was strange because I’ve baked clay in the new oven before without fumes. When I removed the cooled pieces from the baking sheet, they had pressed down into the nearly melted polyester batting, the props had squished down and hardened, the pieces were stuck to the fiberfill and had flat spots on the pan side. So, I don’t understand the use of polyester fiberfill / quit batting, and now I’m a bit concerned about using paper or cardboard in the oven for 30-45-60 minutes inside of a covered pan that I can’t see into to check on. When I bought the fiberfill I wondered if I was supposed to get a fire-protected type, or if there was a type like that – I can’t find any instructions for that. I baked the pieces at 250 degrees for 30 mins. Complete with oven thermometer..
Also, aren’t all those fumes still trapped inside the covered pans and when you open them that releases the fumes into the room? I live in Arizona, battling overheated clay already (wondering how to cool it down), and working in my kitchen. No outdoor room to open stuff in. Is that where you open those? It definitely sounds like your fiberfill is melting and is the wrong stuff. Polymer artists have been using polyester fiberfill and batting for decades without trouble, but recently I’m seeing some reports of this happening, making me wonder if they’ve changed what they’re using to make this stuff nowadays. Definitely don’t use it again! There’s no trouble using paper or cardboard. That won’t burn in the oven at clay baking temperatures, not even close. And you can use paper towels, kleenex, or toilet paper to prop things up, too. Feel free to check on things in the oven, and open the pan. It’s not like baking a cake…you won’t ruin anything. But the heat will escape so you might want to add some time on. Polymer clay doesn’t release and fumes during baking, merely some mild plastic smells. So there are no fumes trapped. You can open the pan outside if you’d like, but it’s not necessary. I certainly don’t. As for a hot climate, it gets very hot here in Missouri, too (112°F two summers ago! ), so I feel your pain. But it’s not that hot in your house (hopefully). Just store it away from hot windows and other heat sources. You can keep your clay in the fridge if you’d like. Clay doesn’t begin to cure til closer to 200°F, so you shouldn’t worry about that. But do take care not to let it sit in a hot car…we all know how our cars turn into little ovens in the summer! Hi Miss Ginger, im new in pm and would like to ask where can i buy ceramic tile? I always encounter that my clay breaks during baking..it’s very disappointing..i will follow your advice..
You can find ceramic tiles in any home improvement store, like Lowe’s, Home Depot, B&Q. They will be found wherever building supplies can be found. Yes, the inexpensive Bake Shop clay from Walmart is very weak and really not suitable for any serious clay work. Sculpey III is another bad one. I recommend Premo for most clay work. Though, for this project, Premo might be a bit too flexible and I would use Kato instead. However, you can also reinforce the handles if you’re going to make them long…just put an armature of some sort in the handle. Polymer clay will always be a bit flexible, it’s not hard like a ceramic. But some brands are harder than others. Sculpey III is brittle, Premo is flexible, Kato and Fimo are far more strong and substantial. Thank you Ginger, your answer helps me refine the process and I’ll use the Bake Shop to learn beginner things with till it’s gone. This is important to me. Glad to read I can bake polymer clay twice, but my question is: if the clay has already been formed and cured once, can I bake it and reshape it again (perhaps while still hot, or by baking over a form) ? Sometimes. Some brands of clay will reshape when hot easier than others will. You can use a heat gun to do this. Just heat and area, push it to a new shape, and then let it cool in that new configuration. You have to be careful, though, because sometimes the clay will break. Clay is at its weakest when it’s warm. Please help!! I made Calcifier charm (yellow flame with orange chalk pastel on the edges sitting on brown ” logs”) I have an oven temperature it was the correct temperature I placed it sitting up on a ceramic tile with the foil pan on top for one hour and it burnt!!! I have no clue why. I have a convection oven does it maybe get hotter under the foil pan? I’m new to polymer clay only been doing it for about 1 year but this is the first item I’ve ever burned… I am so careful and I followed all your rules… What did I do wrong?!? Help!! Hi Lisa, I’m sorry your little Calcifier burned. That’s so frustrating. Polymer clay will not burn unless the temperature gets quite hot, well over 300°F. The foil will not cause the clay to get hotter. The foil will protect what’s inside of it, actually. It sounds like your oven is lying to you. Try getting an oven thermometer and see what temperature the oven actually is. I suspect that even if the oven averages the correct temp, it’s spiking higher at times in the cycle. I use on of those digital probe thermometers and it shows the temp changing rapidly over the baking cycle. Even with a foil pan, I find that I have to set my oven quite a bit lower than the temp on the dial. It misbehaves otherwise and make my clay turn brown! Thank you Thank you Thank you!!!! I have not even started playing with my clay yet. I’m reading everything I can find so I can make as few mistakes as possible. I’m so glad I found this series of posts before spending all that money on a dang toaster oven! I love your article. I’m a little confused about thermal shock though. I read another article a few years back that said to plunge the clay straight from the oven into ice water to make it harder. I’ve done this technique every time since then with great results. I haven’t baked the clay for extended times yet though so this could be the difference. What do you think? This is an old wives tale that has spread through the internet like an old game of “telephone”. The story used to be that quenching translucent clay in ice water made it more clear. Some people do still think this works, but I’ve not seen any evidence that it does make translucent clay more clear. But somehow this story got changed (though nobody knows how/where and yet everyone repeats it) to say that ice water makes clay stronger. No, this is unequivocally untrue and has been tested and disproven by Cara Jane Hayman. What makes clay stronger is longer cures and/or hotter temperatures. Because warm clay straight from the oven is often quite soft and flexible, and it takes longer than you’d think to firm up, it’s very easy to see how quenched pieces could seem to be harder. They are, certainly, harder in the short term. But does quenching make a piece of clay harder, in the long term, than just cooling on the countertop or in the oven? The answer is no. In fact, it seems to make the clay weaker. The best thing is always to cure your clay at the correct temperature (or slightly hotter) for at least the correct time, preferably longer. Hi people. So… I’ve learned an odd lesson. Actually, it should be common sense, but sometimes we just don’t consider possibilities. Always check UNDER your pan before baking. Actually, just wipe it down with a napkin or surface wipe to force you to check on it. Last night I must have set my foil pan down on my work surface and some clay stuck to it. I never saw it, but today when baking food, something just smelled off. A rogue piece was left in the oven. I didn’t think to look for any rogue clay bits, so naturally I didn’t look in the back of the oven. Just a heads up! You never know what strange things could occur. Ha! Who would have thought! What a great point. Thanks for letting us know! Can you use something else other than ceramic tile? Or is it required? Sorry if it’s a dumb question I’m really new to this. No, you can use any oven-safe surface. A simple plate would work just fine. You can probably find a cheap one for pocket change at your local thrift store. I just tried baking dread beads at 275 degrees in my toaster oven which I have used before for the same thing. This time the clay melted? it was a puddle. I baked for about 20 minutes and when I checked I found a puddle of clay- not even really hot as you would imagine but I could safely “pour” into a plastic container and it just firmed up. What’s up with that? The PC is about 2 years old but never opened. It sounds like you were using modeling clay instead of polymer clay. They look and feel similar, but act very different in the oven. Polymer clay does not change shape (much) in the oven, and does not melt. I am new to this…been a pen turner for a couple years and want to try poly clay…my question is simple How long should I let it sit before I put it on the lathe and start work ?? That’s a really great question. I don’t believe that clay gets any more solidified once it’s fully cooled. So depending on the thickness, about 30 min to an hour. More important is to have it fully baked in the first place, so for tubes I’d say a hour, covered, of baking time. Hello! I’ve gotten into polymer clay. So much fun and I’ve made some pretty cute stuff! However after I read this awesome post of yours, I’ve realized I was baking way too low! I’ve baked at 170-200 F. Yikes. Is it okay to re-bake what I have on me still at 275 (they are premo) to help them become more bonded/solid? One of my items snapped off quite easily and that was a big sign for me to start investigating. I have no idea why I was baking so low. I think the whole F vs C thing threw me off!! LOL, that would do it!! So glad that you got the temp thing figured out. Yes, it makes a huge difference! Thank you thank you Ginger for these informative articles. I have made a few things but have been too worried to bake anything. Not terribly brave of me! But I’m so glad that I waited now. I’ve got quite a bit of Sculpey III and wonder if mixing it with Premo and then baking it for an hour would help or will this just weaken the objects I make i.e. the Premo would weaken? Gayle Thompson recommended that I read your blog and you might have answered this question before, sorry to be a bother if you have but I’ve only just begun this evening. I haven’t done strength comparisons with all the various brands and mixtures. I can assume that a Sculpey III and Premo blend will be stronger than Sculpey III by itself, and that the mixture will be weaker than using Premo alone. 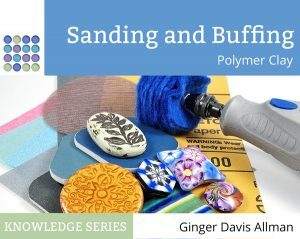 Use the Sculpey for making textures, for bead cores, on Sutton Slices, and miscellaneous crafting tasks. Then use the Premo for anything that strength matters. Usually, Sculpey III will work just great if you’re making things thicker than 1/4″. I just baked some Kato polyclay. I tried putting the clay on a piece of scrap copy paper (with no ink) which I put on a tile, then I covered the clay with aluminum foil. The paper stuck to the clay after baking!!! Why? The clay will often stick to the paper, especially if it’s been pressed down, but can be easily peeled away after baking. Some papers, especially rough ones, might possible stick more tightly, and in that case you’d want to use a different paper. I have good luck with plain printer paper from Walmart. I’m wanting to make a replica of my daughter’s wedding cake for an ornament. it will be 3 layers of light pink sculpey about an inch thick, with “icing” piping in a pearl white sculpey. should i bake the layers together. or separately and glue them together? should i bake the whole thing with the piping on, it’d bake the cake and add the piping and bake again? any advice would be appreciated. I’m a newbie with clay. I’ve been making beads with flower petals in them, from my daughter’s bouquet. I’m loving it! I would bake the separately and then glue them together. You never want to make your clay thicker than 1/4″ with any single baking. And yes, you can bake repeatedly. Additive is always better. Do make sure you are using an oven thermometer to keep your oven honest, and make sure you cover your work to protect it from getting browned by the element. Hi Ginger, Thank you so much for sharing your wisdom and knowledge with us all. Working with polymer clay is new for me, and I’m not sure how to measure a 1/4″ thickness of polymer clay, once I’m done designing my charm, before putting it to bake. How can I make sure it is a 1/4″ thick? You make the charm the size that you prefer. Then estimate how thick it is. For every 1/4″ thickness, you would bake 30 minutes. So for a 1/2″ piece, you’d bake an hour. For a 3/8″ piece, you bake 45 minutes. I am new to polymer clay and looking for tips for making ornaments with my grandkids. I did some Googling and found your site — so glad I did!!! Great information! I feel confident, after reading this post, that we’ll have great success. Thank you for sharing! Hi Ginger-your article it are just great. I want to add polymer clay to the handles of my new kitchen cabinets. Any suggestions? Basically I if you envision the kind you can buy that have a ceramic piece in the middle of the handle, I am doing the same thing only with some polymer clay. Suggestions for type of clay, any special process? I have bought some sample handles to see how they bake. I’ve thought about doing this very thing. Just remove the handle, cover it with clay as desired, then bake it. I think you’ll be happiest if there is no paint or varnish used, however. Just use clay itself. A sanded and buffed finish would make it very striking and easy to keep clean. I am trying to bake a very large 1/8 inch thick rounded oval (approximately 6 inches X 18 inches long) it is to become the transparent lid for my studen’s Alien sculpture. I used Pardo pro clay and rolled it out very thin ( no small feet to hold the shape). I baked it for 60 min @ 300, then peaked in and noticed it was still white, so increased temp to 310 degrees for anther 30 – 40 min. I have taken it out and it is still milky white and brittle on ends. I did cover it loosely with aluminum foil. Should I bake it again? Any suggestions would be helpful – my student has high hopes to enter his sculpture in an exhibition coming up next week. Fabulous articles, Ginger. We’re newbies to polymer clay and have a question about my home oven. Us there any problem, or do I need to do anything different, if curing with my gas oven? As long as your oven can reach and maintain the correct temperature, it should work just fine. Get an oven thermometer and verify what’s going on in there. Adjust the temp if necessary, and you should be good to go. I have a question and I would appreciate your answer so much! I am sculpting little polymer clay dolls and animals, which are more complex than (for example) beads. It is hard to sculpt the whole figure at once, because while working on new parts, the other parts get smudged easily. So I want to “pre-bake” the figures, then work on new parts. My question is – should I “pre-bake” the parts at full baking time (30+ minutes) or is it enough to bake them for , lets say – half the time, and then, later when the whole figure is completed, to bake it all together at full length. I hope my question is not confusing. Thank you so much for your page full of information, it is an incredible help for beginners like me! Don’t look at it as pre-baking. Consider it to be “baking in stages”. Each bake should be a full bake. There is no advantage to partially baking your clay. It just makes it fragile and liable to break when you add more clay. Bake the full time for each layer. Thank you so much!! I can not tell you how much I appreciate your help (your answer and your wonderful website). It is truly a blessing. Thank you! Are you able to bake polymer clay stuffed with aluminum foil? My students are making creatures and dolls that are similar to the size of an adult hand. Yes, in fact this is the most common way to create a base form for sculptures and larger items. It’s never a good idea to create anything with polymer clay much thicker than about 1/4″ in one baking cycle. 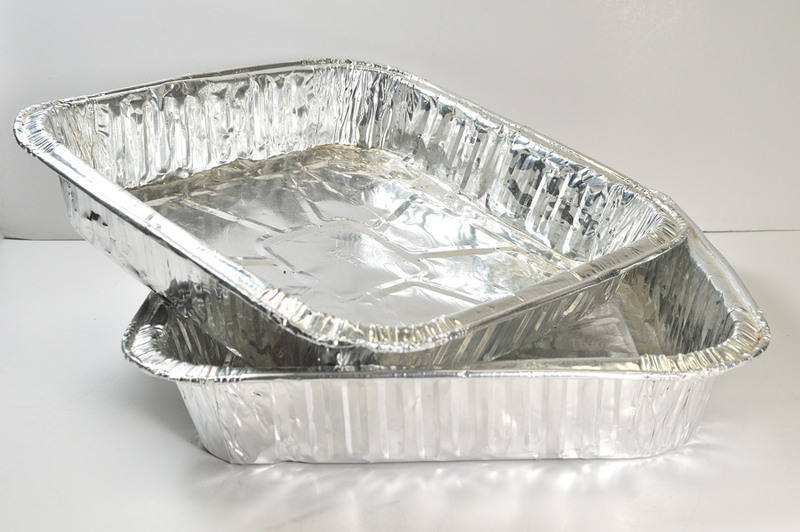 Compressed aluminum foil is also a much cheaper way of filling up the bulk. When you rebake a polymer clay piece with a new layer, do you bake it for the same amount of time you did the first time/first bake? I’m a little new to polymer clay, so I’ve been trying to do some research on it. Dear Ginger – I’m helping Haitian women launch a coffee bean jewelry business– so darkened beans or lighter beans are desirable (I’m not too worried about the baking part). I only need 2 clay colors: medium-dark brown and a dark brown. Any suggestions? Next, how long can I wait from making beads to baking beads? Is it ideal to bake the same day as beads are made? Or even shorter than that like within a couple of hours? One complication: we’re making the jewelry in Haiti to help employ impoverished women & it’s HOT there. You can make and bake the beads right away. There’s no waiting time necessary (and you can wait if you need to). I would use Premo or possibly Kato. You’ll most likely need to mix a custom color for each of the browns. The heat won’t be a problem. Many people fear that hot climates affect the clay, but Haiti’s not as hot as an oven (though I’m sure it feels like it at times!) If anything, the heat will make the clay easier to work with. Thanks for the great information. I design dolls. The temperature in my oven is not constant. It can vary up and down 25-50 degrees during a bake. I’m using Fimo clay and can never get it to stay at 265 degrees for 30 minutes. Is it alright for the temperature to vary during the bake? Is there a safe range which will still cure the clay. Help! This is driving me crazy! I think this is perfectly normal. NO oven stays steady. This is why it’s so important to sort of average it (aim for 265°F) and baking longer, often an hour or more. And make sure to cover your work to help protect against the clay burning while the element gets hot. You’ll know you’ve baked long enough if you can bend the result without breaking. You should not be able to break a piece of Fimo Professional in your bare hands if it’s properly baked. I am baking peices about 2-3 mm think for 1hr. As they need to be flat i bake them between 2 tiles and in between 2x peices of paper. I use a thermometer and bake once pre heated at 130 celcius fan forced. 1. Do i still need to cover my already sandwiched tiles with trays? 2. I am mising brands of clays. Mostly premo and fimo and find vast colour shifts. Even in colours that normally wouldnt. 3. I am confused about the breakability of clay fimo and premo. When cold yes they seem strong untill i actively try to break it. From what i have read i should be able to bend almost in half when cold? There are several things going on here. One…when you bake between tiles, it takes a long time for the temperature to get hot enough to cure the clay. So you’re effectively baking for a shorter time period than you think. Also, your oven may not be correct. Most ovens have no relationship between the dial and reality. Use a thermometer and adjust accordingly. You are correct that your clay should not break when bent. Your temp is not high enough and the clay is not staying at that temp long enough. No, you don’t need to add a tent to this. All tenting does is shield the clay from being browned by the oven’s element. In your case the ceramic tile is doing it already. As for color change…MANY colors get darker when baked. This is normal and just a characteristic of that color. It’s not a symptom of a baking issue. Thank you very much Ginger – very interesting and helpful information. I looked for instructions on the Staedtler website but didn’t find it of much use. I would honestly test the various methods before blindly dismissing them as ineffective or ‘wrong’. It doesn’t sound like you’ve actually tested any other method of curing the clay to see (for yourself) how it stands up to the method of oven baking you use. Preferring a method is wonderful, championing it is wonderful. The amount of experience you have with using an oven (presumably an electric?) has given you the ability to share a lot of wonderful tips and hints. However, blindly cutting down the other methods with no prior experience with them is… foolish. Yes, thankfully my own experience, understanding of physics and polymer chemistry, personal consultation with polymer clay company chemists and representatives, discussion with seasoned experts in the clay community, and experimentation back up my position. There are many ways to cure polymer clay, but ultimately they all come down to baking the clay hot enough and long enough to allow for complete fusion of the clay mass while also avoiding scorching and color change. Any method which achieves this goal is a valid method. Microwaving and boiling do not achieve this goal. I need help. I’m just starting and the experimenting is driving me crazy. Using my oven thermometer, I can get to 275 degrees accurately. But just for my own info, I put the thermometer inside my two pans (metal foil, with one covering) and the temp inside was much lower. Do I get the oven temp to register much higher to get it right inside the pans? No, that would cause the temp inside to (eventually) get too hot. The problem is that heat takes a long time to get up to the correct temperature inside the pans. So the solution is to bake longer. Best clay for small pendants? Will Fimo soft work? If we create small holes with end of a paintbrush or straw, will the holes stay open. We are doing a library program – making small pendants to be used as essential oil diffusers (once baked, they will add a ribbon and a bead or two, then take home to put a drop or two of essential oil for a wearable diffuser). Appreciate your very clear instructions on baking! Polymer clay will not absorb the oil, so it would just run out. A better way is to embed a small glass vial inside the clay, then stuff a cotton ball inside the glass. Apply the oil to the cotton. I’m just playing around with polymer clay and this post is very helpful. I was and wondering what kind of clay tile you put in your pan? Is it like a floor tile a backsplash tile or something for a grill or something specific for clay drying? Sorry I tend to overthink things but I want to get it right. Again thank you for this helpful post. You can use any kind of tile, but the plain ceramic floor or backsplash tiles are inexpensive and readily available at any home store. You can usually pick them up at a resale home store like Habitat for Humanity ReStore. You can also read more about using ceramic tiles in this article here. Would parchment paper work just as well as copy paper? I am new to polymer clay and just trying to figure out different options. This has been a wonderful help and is an awesome article. Thank you so much for all of the information. Yes, parchment paper works just fine (but it’s pricier than copy paper). Check out this article for more info on parchment paper. Wonderful! Thank you. I got a big box of parchment paper years ago that my mother and I have been using for baking over the years. I still have a ton of it so that was why I was asking. Thank you for all of your helpful articles. It is making this new hobby of mine a whole lot less stressful. Hi, Ginger …so glad I found you! I just recently got back into sculpting. Im loving it. I made a sitting, straddled elf for my mom. It sits 8″ tall 8″ deep and legs about 10″ wide apart. Ive spent a good two or three weeks on it. I want to use my new pizza stone with parchment paper, thats where he sits at the moment. I wish I wouldve used an armature so his middle werent as thick. But too late now! Ive forgotten such things after all these years. Anyway, should I slip him into the oven (already on the stone with parchment paper) while it preheats? Preheating the stone is reccomended by manufacturer to prevent breakage/shock which may also prevent the same for my sculpture, yes?